Do you want to perform Itikāf in Ramadan Kareem? If yes! Then do the Niyyah in your heart to perform i’tikaf and get your vow with God done. Don’t know about it? Want to learn about I’tikaf? Let’s have a detailed look to understand the significance of i’tikaf in the month of Ramadan. There are rules for females and male. 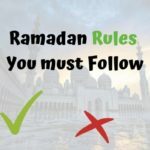 What is I’tikaf in 2019? The word i’tikaf belongs to Arabic origin which means to isolate oneself or adhere to something. 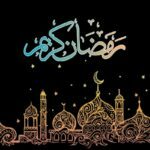 In Ramadan Kareem, many Muslims perform I’tikaf by spending the last 10 fast’s days and nights in mosques by isolating themselves from people and the matters of the world while sticking to Ibadah. Itikaf is a way to cure the wounds of the soul. Allah has blessed us with the month of Ramadan and then in Ramadan, he bestowed us with Itikaf for our spiritual retreat. Whenever Ramadan is mentioned anywhere, the discussion will never be completed without pointing the holy ritual i’tikaf out. 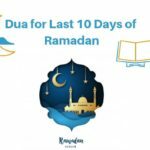 It is performed in the last 10 days of Ramadan which are dedicated to the freedom from hellfire as well as the night of Qadar is also present in these days. Laylat ul qadar is the night on which God had sent down the Quran-e-Hakeem from heavens to our Prophet (PBUH). The night which is better than 1000 other nights. So are you ready to avail the cost-free option to earn the thawab of Hajj and Umrah? There are three types of I’tikaf according to Islam. The Nafl I’tikaf can be performed on any day or night of the year depending upon the will of the performer. The Wajib Itikaf is compulsory to perform. The I’tikaf became wajib when you make a niyyah or vow to God to offer i’tikaf based on a condition. There are some specific rules that ones should follow to perform Itikaf. The first and foremost rule or condition to perform this holy ritual is that the person should be a Muslim. The person should be in a good state of mind to do reasonable thoughts and make decisions. To go in detail, the person should not be under the influence of any types of drugs that may affect the mental state. The person with a mental illness should not perform I’tikaf as he would be able to make clear decisions at his own. The 3rd and most important Itikaf rule is to make an intention for Itikaff. The intention should depict that you are going to perform it for the sake of God and to spend time in pleasing Him by doing Ibadah. Women should take permission from their father or husband if married to offer Itikaf. The person should keep her body neat and clean to fulfill the condition of Tahara. The person should spend his time in offering prayers, recitation of the Quran, doing Nafal Ibadah, and making dua with dhikr. Fasting is also required during itikaf days as God has stated Itikaf in the Quran in relation to the fasting of Ramadan. Men should offer i’tikaf in the masjid. Women are also allowed to perform i’tikaf in their homes. However married women need the permission of their husbands before starting Itikaf. She should pick a proper place in her home and make it separate where other people can’t come. Females should take care of their menstrual days because if she gets her menstrual days during itikaf then her i’tikaf we be no more valid and she has to offer the Qada for it. When she became clean she should do one-day i’tikaf from sunset to the next sunset. Offering Itikaf has numerous benefits. He/she gets time to develop a pure connection with God. A way to say thanks to Allah for His blessings. More time to understand and reciting the Quran. The best time to train oneself according to the teachings of Islam and the Quran. By refraining from idle talk and gossip it becomes a chance to earn more thawab. The purification of heart and soul is also attained from Itikaf. Man becomes less interested in the materialistic world. Offering the special Namaz-e-Taraweeh to make your fasting more productive because the Quran is recited during this prayer. Avoid useless talks and do only worldly talks that are necessary. Spend time in doing zikr, prayers, nafal ibadah and recitation of Quran. 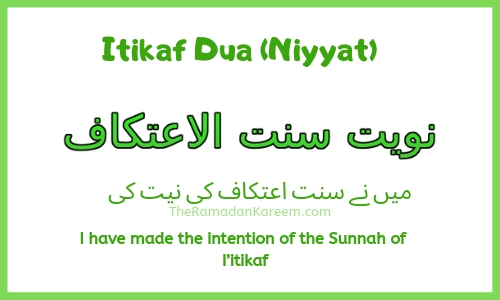 False intention (niyyah) as if you are offering itikaf just to impress your family and friends. Building Sexual relationship is not allowed during i’tikaf. Avoid unnecessary arguing and useless talks. Avoid all the major and minor sins during the i’tikaf period.